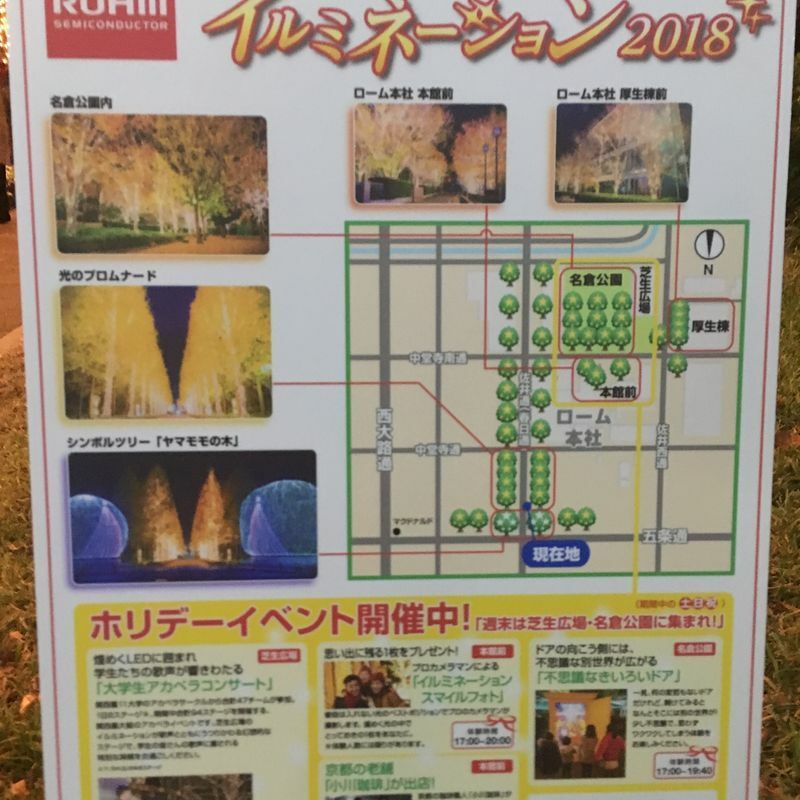 Alright, actually this one company called ROHM decorated their entire company campus in Kyoto with beautiful Christmas lights and has invited us, the public to walk around and enjoy the scenery completely free. How could I refuse? This company is known, as the name suggests, for making semiconductors. Their products are so varied, since they make the insides of electronics, that it’s hard to be specific. Let’s just say there are a lot of incredibly smart people, who for whatever reason, decided instead of spending their time developing more advanced computer technological wonders, went to the drawing board and created a tiny winter wonderland around their office. I can just imagine some tired engineer coming out of the office at 8 in the evening and getting to walk to his car in a world full of lights instead of the depressing darkness that follows each winter (don’t worry, winter solstice is only a few weeks away). I started my walk in Gojo from the AEON mall nearby after doing some Christmas shopping. It’s really hard to miss, especially since it’s gotten darker earlier recently. In fact you can see it from the bus if you take that route. The first part of the tour, you are greeted with two large spheres of lights which change colors in places to form a beautiful Christmas tree. Once inside this makeshift gate, the road has trees on each side completely covered with yellow lights. The surprising thing about these decorations is that it’s not just the normal “strapping cheap lights on trees and call it a night” deal. 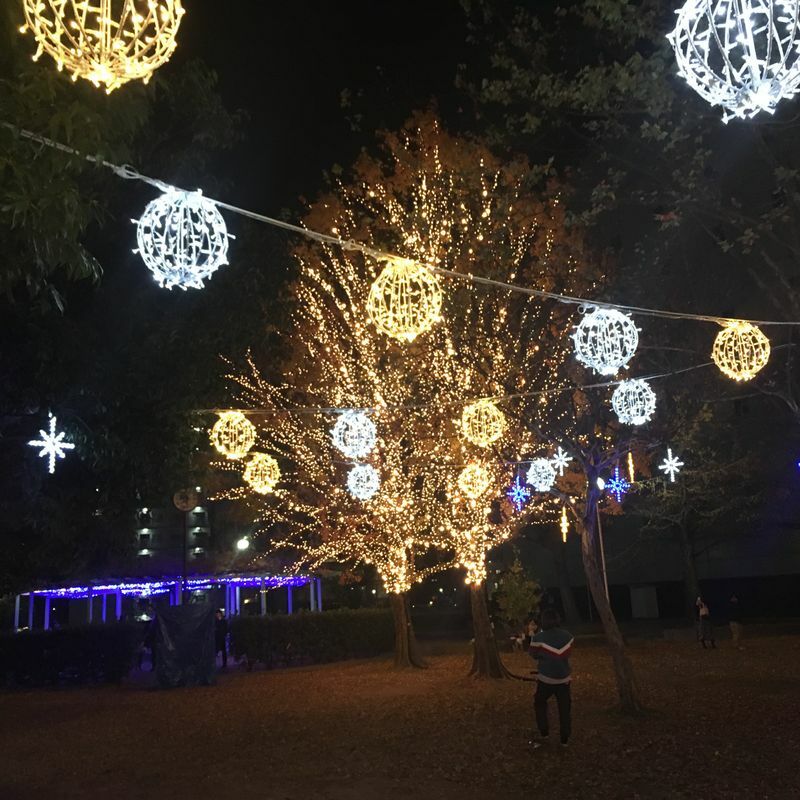 The lights on the trees are the same colors, but the light bulbs themselves are different sizes and some of them blink while others don’t. This gives a wonderful feeling of being somewhere special. Like a different world. The pictures in this article don’t do it justice. You’ll just have to come and see it for yourselves. After walking for a while, you turn a corner where a nice little park has been set up. Normally I suppose this park is just like any normal park with swings and slides and a place to sit down. But this time, lights have been strung up from branch to branch on the trees, in completely different kinds of lights than before. There are hanging spheres, stars in different colors and in the middle there is a small round place with a roof made out of branches of some trees. I suppose in the summer, this whole place is just blooming with flowers, as you can sit down on benches and relax. Here, instead of flowers blooming above you (because it’s winter), they put a ton of blue lights, so the whole place is just like your own personal blue garden house. It’s incredibly soothing to sit there and enjoy the atmosphere, especially when the air is cool. And finally, just to show off, ROHM has put up a display next to the park. 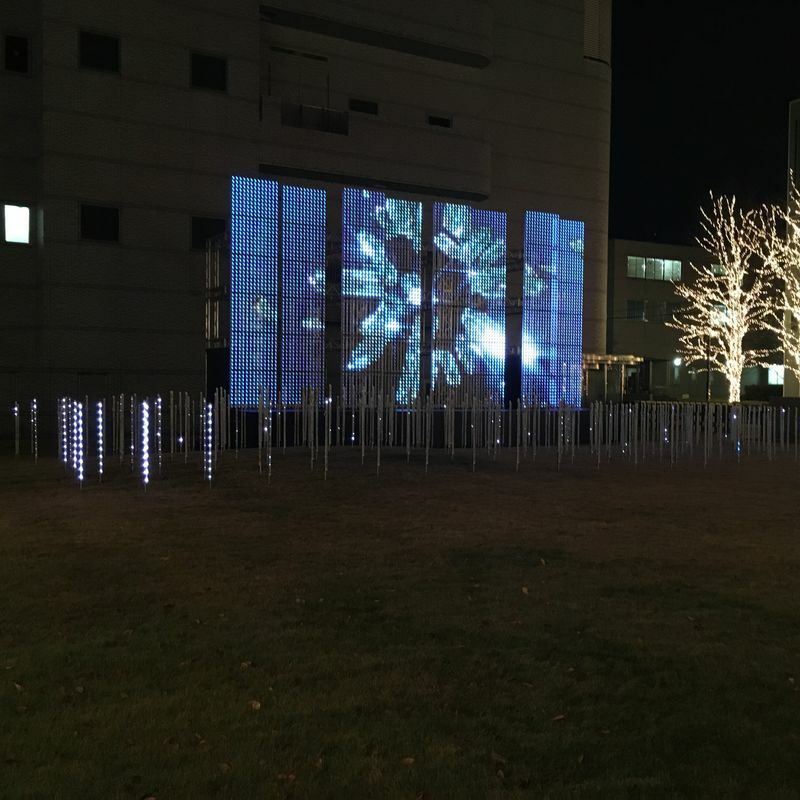 This is basically a display made of lights which show different winter themed sceneries. In front of it there are tubes of light which simulate falling snow in a very gorgeous way. And since this whole tour only takes like 20 minutes or so, and you don’t have anywhere else to go, you can just walk back the way you came and experience the whole thing again, and trust me, you won’t be bored the second time around. 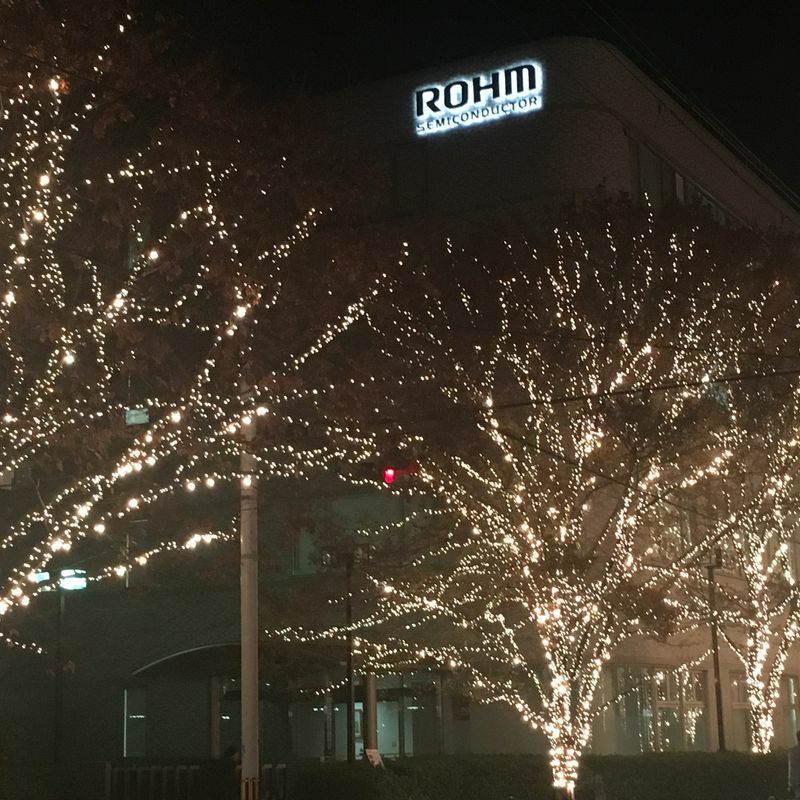 If you are looking for a simple, fun illumination event for free while in Kyoto, I highly recommend coming to the ROHM offices in Gojo. It’s free and in a walking distance to AEON which is perfect for some Christmas shopping. 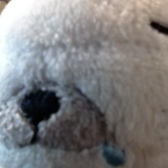 City-Cost is a platform of information and support for anyone curious about life in Japan. Blog, review, earn points and vouchers, and make the most out of your life in Japan. Sign in to City-Cost and enhance your life-in-Japan experience.